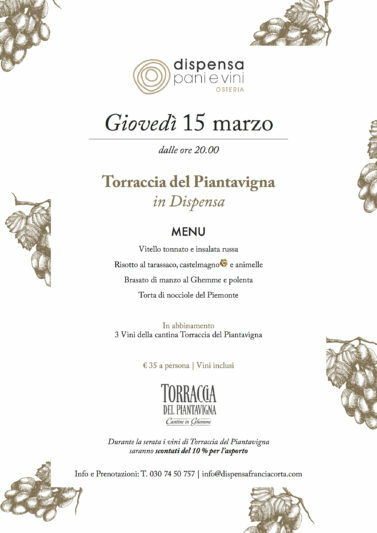 Thursday the 15th of March the wine cellar Torraccia del Piantavigna comes to Dispensa. From 8pm we’ll wait for you for an evening of territorial flavors combined to 3 Torraccia del Piantavigna’s wines. 35€ for person included wines.